Chadwick and Cunningham composed their first recordings for the compact cassettes An Agreement of the People and All the Free Commons of England. A group of fans known as the “happy hitchers” would hitch-hike around the country, following the band while they were on tour. Their first EP, Carry Me, was released in 1989 and contained the songs “Carry Me” and “England My Home”, which received Radio 2 airplay. At that time the band recruited Alan Miles to play harmonica, guitar, and mandolin and to perform backing vocals. This lineup produced the EP Outside/Inside and toured throughout 1989 and most of 1990. 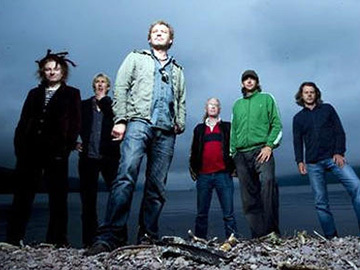 After re-releasing two EPs on their own Hag label, in 1989, the Levellers signed a contract with French record label Musidisc. Their first album A Weapon Called the Word was released in 1990 and went platinum. The first single from the album was “World Freak Show”. In 1994 The Levellers appearance at the Glastonbury Festival attracted the biggest stagefront crowd that the event had ever seen. Along with friends they had spent the morning flyering the crowds at Glastonbury to advertise their later show and, having already become favourites with independent music fans and travellers across the country, this tactic paid off when the crowds surged to the pyramid stage to see the band.